As you may or may not know, the United Church of Christ has been working on an exciting new computer program. Now, I don't know all the specifics of the technology, but apparently there is a new algorithm that takes all of the qualities most churches have identified as what would qualify a clergyperson to be a perfect pastor and they match these qualities with all ordained clergy. The following are the top eight characteristics local churches identified as qualities a perfect pastor should possess. The perfect pastor is one who will be able to please everyone in the church and meets each church member's expectations. The perfect pastor speaks the truth, stands up for injustice, but never steps on anyone's toes. The perfect pastor preaches an inspiring sermon every Sunday that makes you cry, laugh, and think deeply about everyday life while still managing to get you out of worship under an hour. The perfect pastor works from 8 in the morning until 10 at night, doing everything from preaching sermons to sweeping. The perfect pastor is 36 years old, and has been preaching 40 years. The perfect pastor has a burning desire to work with the youth, and spends all his time with the senior citizens. The perfect pastor smiles and has a keen sense of humor, all the while keeping a straight face that shows serious dedication to all tasks. The perfect pastor makes 15 calls a day on church members, spends every free moment evangelizing to non-members, and is always found in the church office when needed. Here is the exciting thing...using the software, we were able to find the perfect pastor...unfortunately, that pastor burnt out and died unexpectedly at the age of 32. By now, I hope you know that I made this up to illustrate a point. So please do not go looking on the Illinois South Conference website for this program or call us at the Conference office to inquire how your church might utilize this software. What I am hoping to illustrate is there is some truth in the fact that many people mistakenly think that a perfect pastor might exist. Yet, we all know there are no perfect pastors. However, sometimes we have high and unrealistic expectations of our pastors. Pastors often bear the weight of these unrealistic expectations, when in truth, pastors are only people who have said yes to the nudging of the Holy Spirit and have answered the call of God to do the work and ministry of parish ministry. They share the same struggles, disappointments and challenges as we all do. However, much like other people-oriented vocations, ministry does not always provide measureable standards of accomplishment or appreciation. Yet, a word of encouragement and an expression of gratitude can go a long way in reenergizing those who have given so much of themselves in service to the church. October is Clergy Appreciation Month. 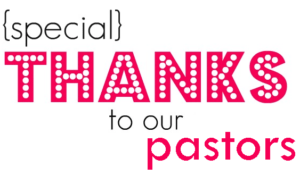 I strongly encourage the churches of Illinois South Conference to take this next month as an opportunity to show gratitude toward the church leaders and staff who unselfishly (not perfectly) serve your church. While, there are no perfect pastors, there are certainly many pastors who have and continue to influence your life and faith. 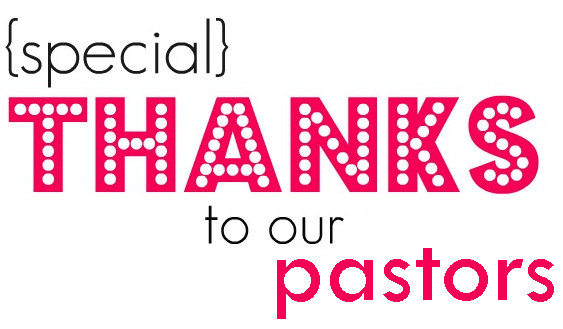 October is a great time to encourage your pastors and to say "thank you."